PARIS - Reigning world champion judoka Naohisa Takato led Japan’s haul of four gold medals on Saturday, the first day of the Paris Grand Slam in the French capital. Takato picked up his fourth win at the prestigious event after defeating former world champion Yeldos Smetov of Kazakhstan in the men’s 60-kilogram division. The 25-year-old countered a last-ditch effort from Smetov with 13 seconds left in the final for a waza-ari and a record ninth Grand Slam title. 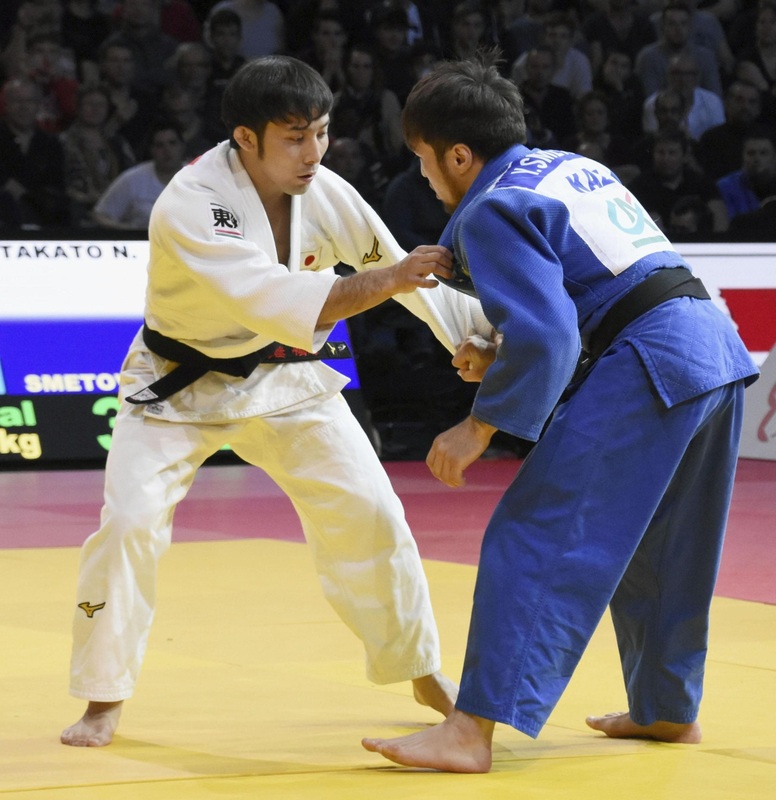 In the men’s 73-kg weight class, former world champion Soichi Hashimoto also took gold at AccorHotels Arena after throwing Mongolia’s Tsendochir Tsogtbaatar right-sided seoi-otoshi for ippon. He earned his first individual win on the IJF World Judo Tour since 2017. On the women’s side, Rio de Janeiro Olympic bronze medalist Ami Kondo earned her first win in Paris and sixth Grand Slam title by beating 48-kg opponent Distria Krasniqi of Kosovo with an inner leg reap for ippon. Ai Shishime rounded out Japan’s gold medal winners with a victory in the women’s 52-kg division against compatriot Natsumi Tsunoda, who settled for silver after earning a third shido penalty for passivity. Among other results at the first Grand Slam of the year, Japan’s Momo Tamaoki and Nami Nabekura took respective bronzes in the women’s 57-kg and 63-kg divisions.